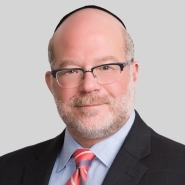 Jay Levine, a partner in Porter Wright's antitrust practice, was quoted in the article "Global pay-for-delay standard would reduce pharma uncertainty," published in the March 26, 2014 edition of the Policy and Regulatory Report, part of the Financial Times Group. ... "Jay Levine, an antitrust partner at Porter Wright, agreed with Meier that the Actavis ruling provided useful guidance for patent settlements in the US. 'There is a little uncertainty here, but I don’t know that there is as much uncertainty as people say,' Levine told PaRR. A bigger challenge for jurisdictions outside the US and EU will be to devote the appropriate level of resources to investigating reverse payments, Levine said. Also, the way that countries such as South Korea draft their generic drug pathways will 'have a huge impact' on how pharmaceutical companies develop drugs, he added.